Why buy an iPad when you can buy a better Android Tablet at a fraction of cost ? I don’t understand this inexplicable frenzy behind any Apple product. I could not stop to wonder if people have lost their sanity or if they have been hypnotized en masse. I tried to play with and iPad and even tried to work with it. I do not write it off – it is a good tablet – no doubt. But the price is horribly high and I do not understand why I should pay a huge premium when I could get a similar tablet at one third of the cost. I have spoken to professional users and fanboys of Apple. But I am not getting a satisfactory response justifying the high price. Most people tend to agree Apple is ripping you off. But again, why do they stand in queue and buy this when they have *BETTER* alternatives at less than half the price? That is a question that many sane people would keep asking themselves. An Android tablet is available at throw away prices – partly because Google gives it away for free and mostly because it just works. A cheap $199 Android tablet satisfies most of my needs and my needs tend to be on the higher side. That is almost one third of the cost of an iPad – for the same functionality. 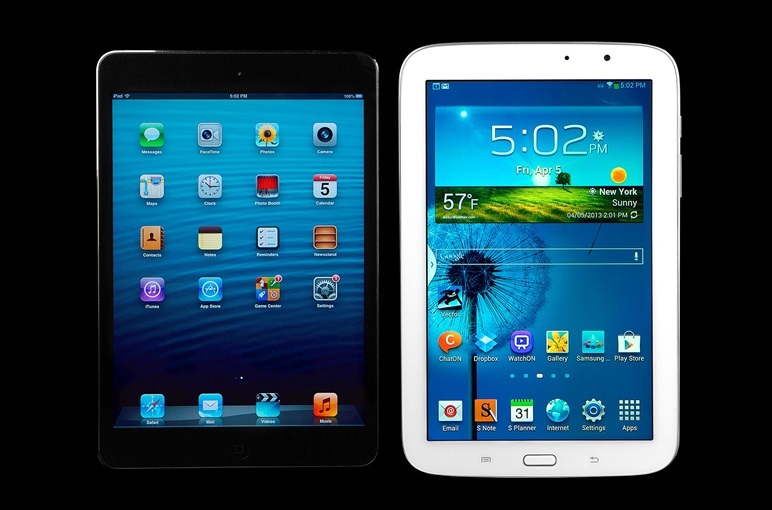 An Android tablet is based on a great platform and has a decent browser and vast set of apps. I find using an Android tablet is more fun than using an iPad. I feel caged using an iPad for obvious reasons (lack of customizability, dull UI, too many visual effects and so on). At present Android tablet is much more customizable than any competition. And it also makes economic sense to own them and work with them. It has productivity suites like a VPN App and there is QuickOffice or KingSoft Office. There is just no reason that I would choose an iPad over an Android tablet. And for that matter, I would not accept owning an iPad even if given away for free – because it does not justify the cost associated with it nor justify the frenzy. To me it appears to be an over-hyped overpriced device that is otherwise just another tablet. There are several other articles on the internet comparing in depth the feature set of both and the verdict is that an Android tablet wins hands down. So I am not going to talk about the feature set here. Microsoft Surface RT is another able device if you do not prefer Android or if you want more of productivity. I believe Surface RT tops the rest of the tablets in terms of productivity as it has built in Office and other things. It lacks a few important Apps for the home user though and this (along with customizability) is where an Android tablet rules over Surface RT. But Surface RT is not so cheap either and it costs about $349 – but it is just half the cost of an iPad. Feature by feature, Surface RT could compete efficiently with iPad and win in almost all category except Apps – the lack of it. An Android tablet, however, would benefit any casual user in providing an amazing and unparalleled value for money. Fanboys of Apple tend to get infuriated when questioned about their choice of tablet or when asked for a justification. Their replies are so vague and pointless. Few feel guilty of spending more money than what they have got in return. When I quote a similar (in specs) tablet for about ~$400, they immediately get to the defensive and starts defending their choice by telling that they have purchased something they like – just like I have got something I like. My question was about what is that the like more than my choice of tablet. And I am not getting a valid response for that. Few of them go to the extent of using cuss words in an attempt to ward me away. But my questions still persist and I am not getting a satisfactory answer or a justification for the high premium they pay for an iPad when a cheaper and a better alternative like an Android tablet is available. I do not argue against the feature set of iPad nor about iPad as a whole. But my argument is more towards economic sense coupled with usability and usefulness. When all these three are the priority an Android tablet wins hands down over an iPad – until at least my question gets answered. Will Google Hummingbird (new Algorithm) affect SEO ?